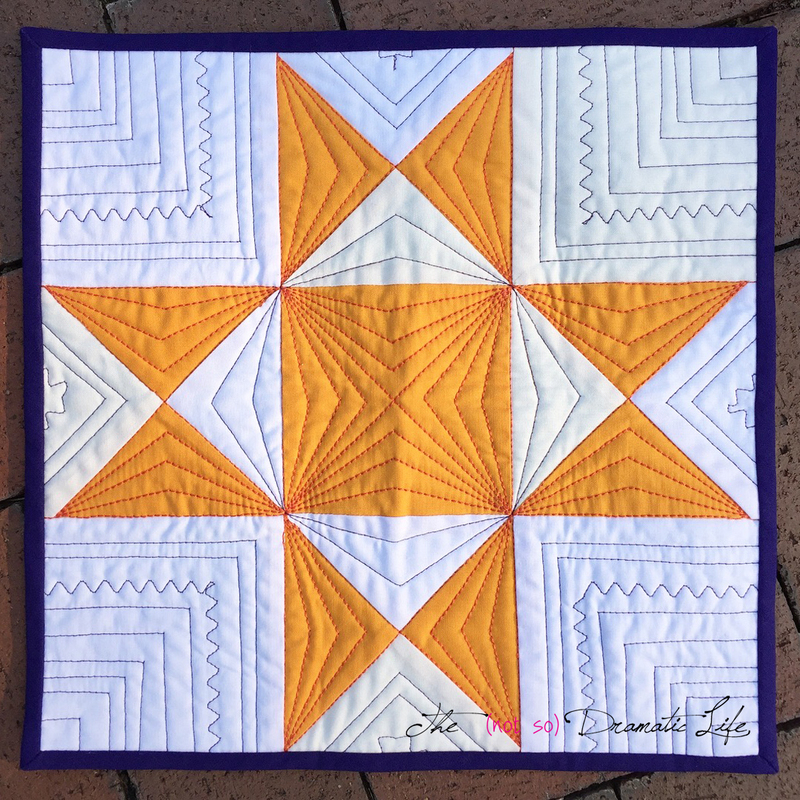 Every year the Modern Quilt Guild issues a Charity Quilt Challenge and the results are displayed in the hallways of QuiltCon. The MQG gives a theme and color palette, and any guild or small group of members is invited to participate. 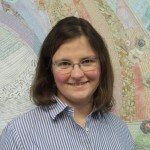 This is the second year the Central Ohio MQG has participated in this challenge. 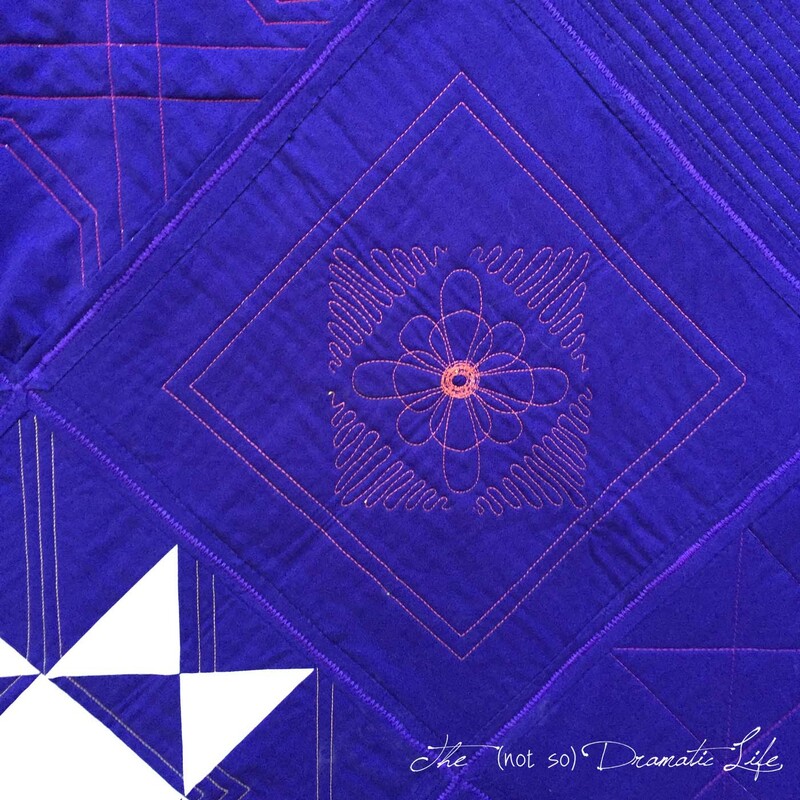 This year the theme was Modern Traditionalism and this is the palette. 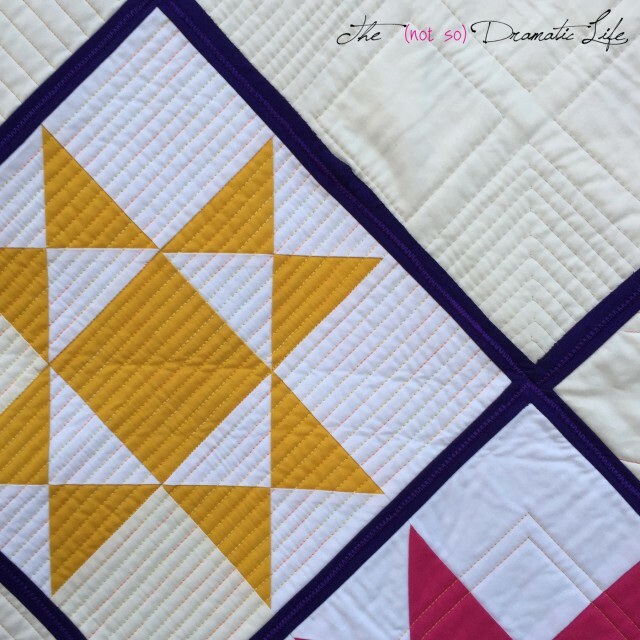 For our updated version of a potholder quilt, we used Ohio Star blocks. This is the block that I contributed to the quilt. 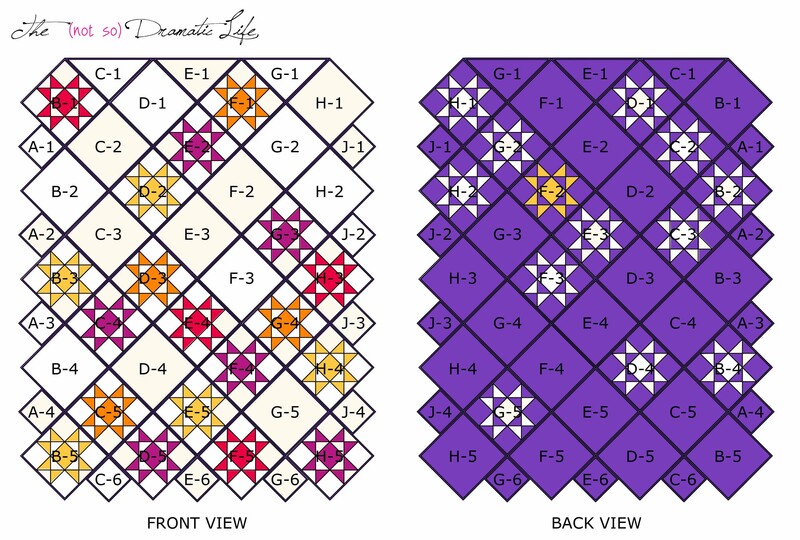 Each block is constructed so that the pieced block is visible on either the front or the back of the quilt. 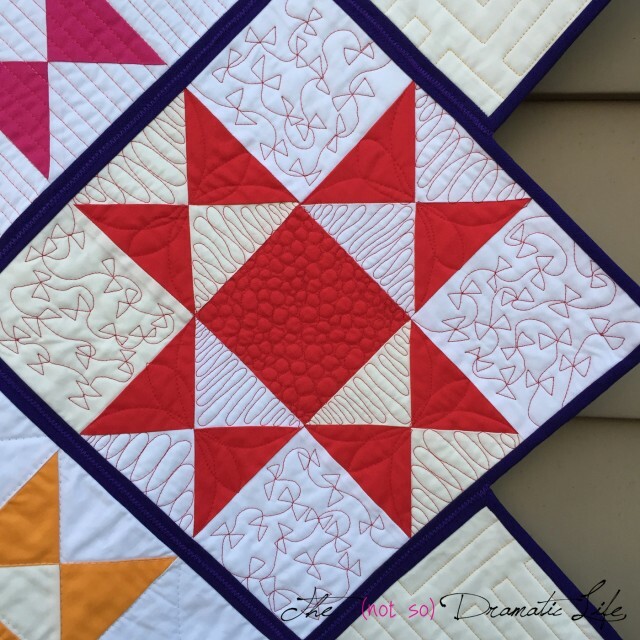 This also creates a fully reversible quilt. The blocks are joined with a triple zigzag stitch done on my mechanical sewing machine. 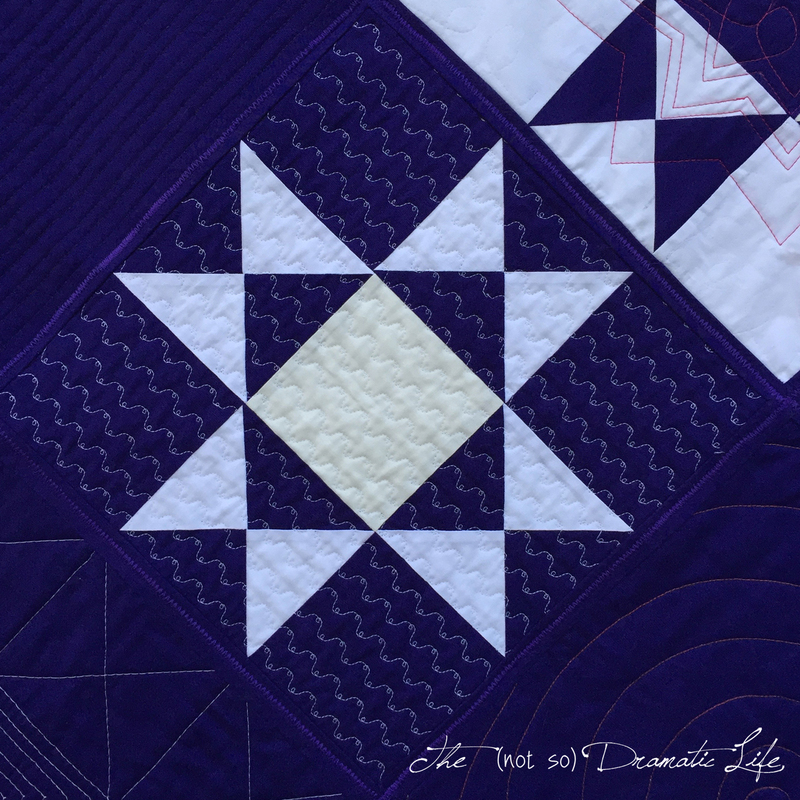 The first side of the quilt incorporates the entire color palette and has more of a “daytime” feel. 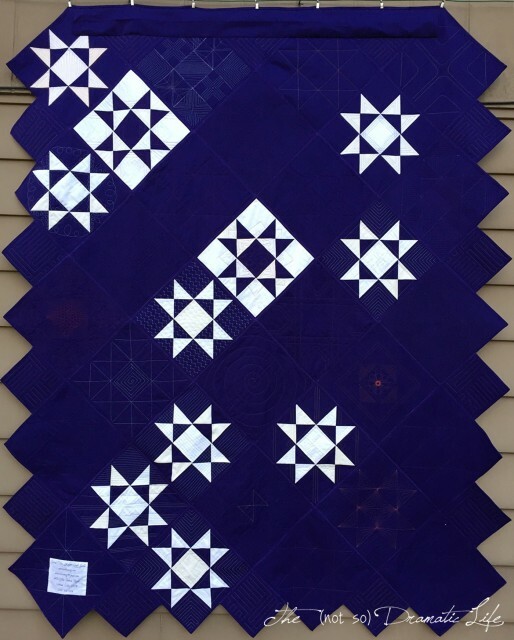 The reverse side of the quilt is intended to appear more like the nighttime sky. 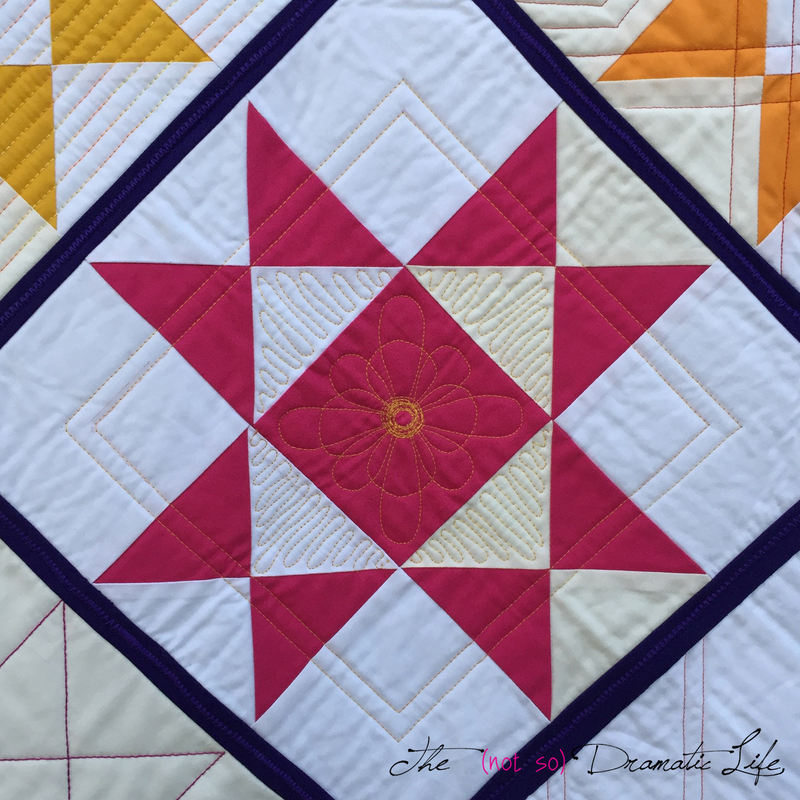 My favorite part of this quilt is that we have so many different people contributing their personal quilting style to the project. 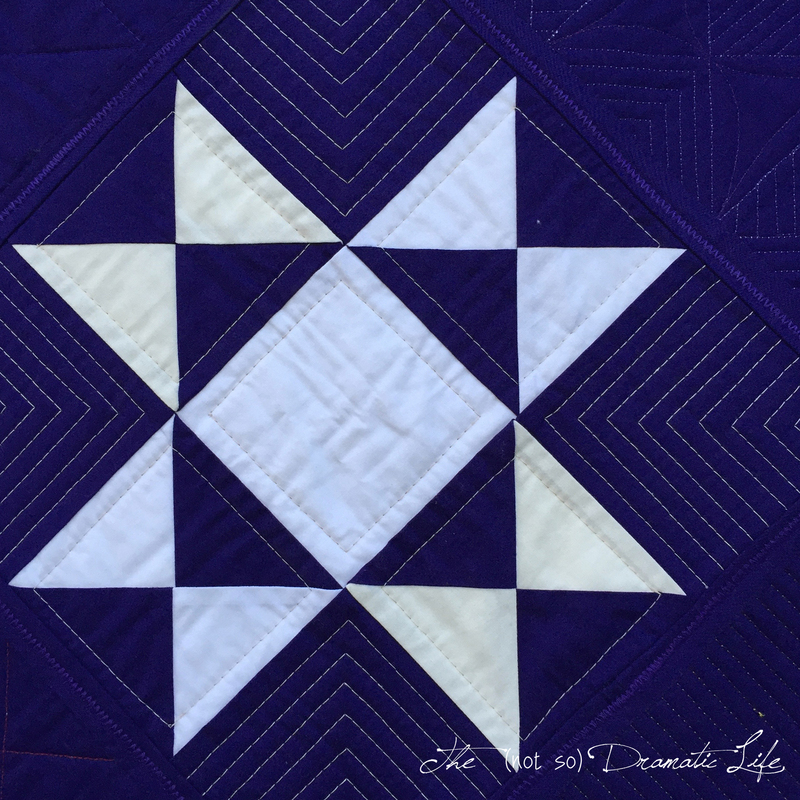 It has a mix of straight line and free motion quilting, several thread colors and weights, and various quilting densities. It really became a beautiful representation of our guild. 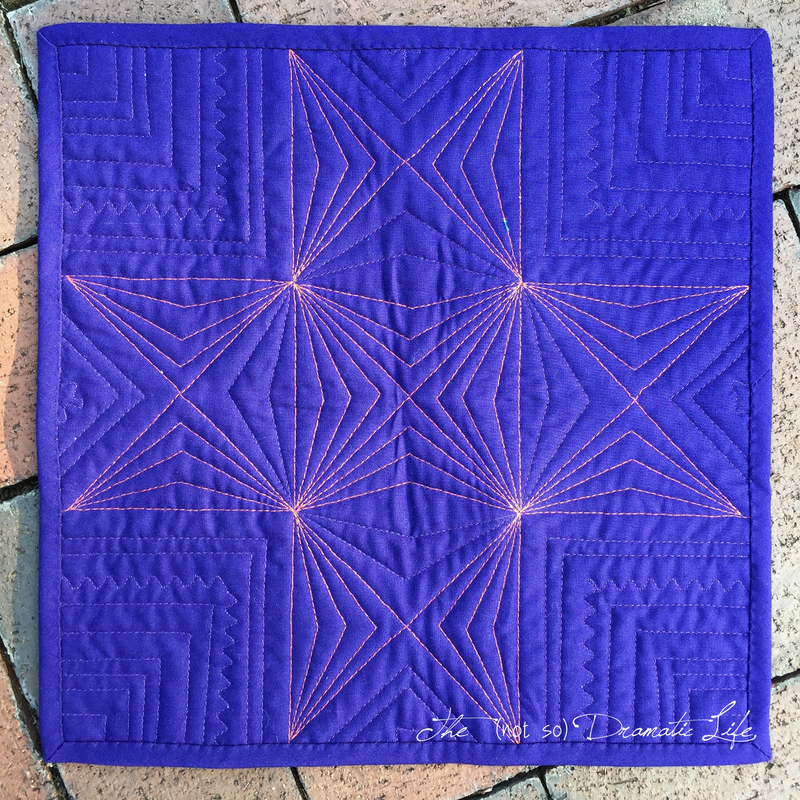 The quilt gets shipped off to QuiltCon this week! We are all very excited to have it displayed with all of the challenge quilts from around the world. We don’t have any members who are able to attend this year, so we are hoping to have some photos come our way! 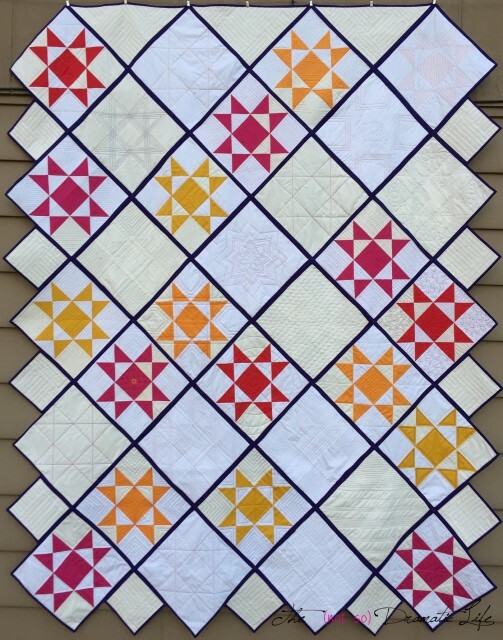 Binding: Blocks were individually bound with Kona cotton bias binding, cut 2″ wide, machine stitched to the front of each block, and hand stitched to the back. Wow! That is incredible! I’d love to see the quilting in motion.